While we're all lamenting the current state of the Astros, I thought I'd take some time to talk about something a little more fun. The folks at Out of the Park Baseball were kind enough to let me preview their latest offering, so I thought I'd see how I could do if I were to try to fill Jeff Luhnow's shoes for the 2013 season, virtually speaking. 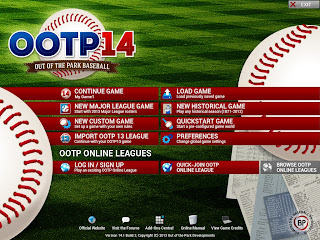 Before I give you the results, let me tell you a little about Out of the Park Baseball 14. 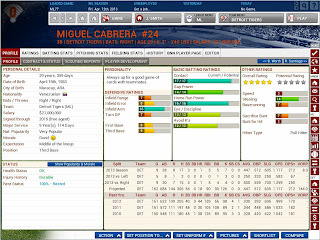 OOTP has been regarded as one of the best baseball sims on the market for years, and they've really out done themselves with this year's release. 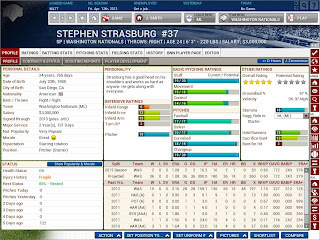 New for this year is a player rating system based off of Baseball Prospectus' PECOTA system, a revamped amateur draft set-up that utilizes real-life budget restraints, and a new international free agency system, also utilizing a budget system. They've also revamped their defensive ratings system, meaning that your high school shortstop could end up out growing the position and moving to third (sounds familiar). 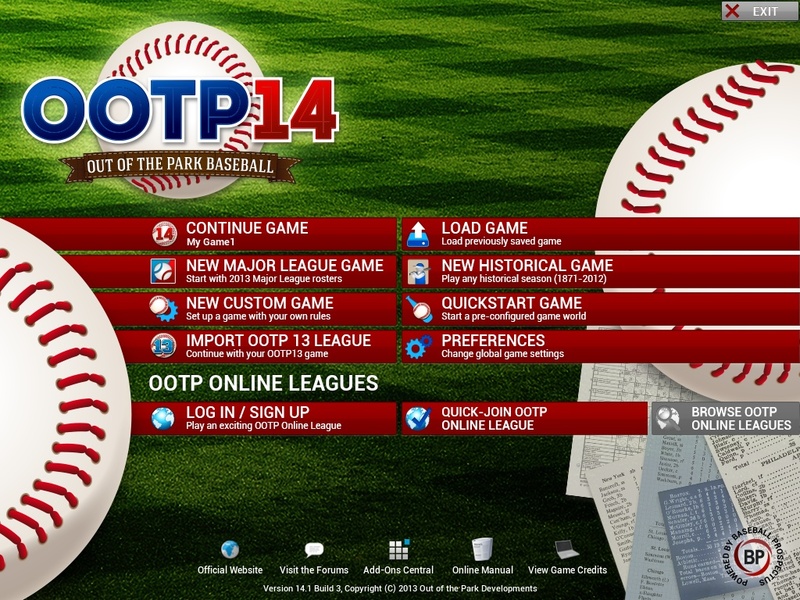 There are many more changes as well, as the OOTP team continues to set the bar in PC baseball sims. 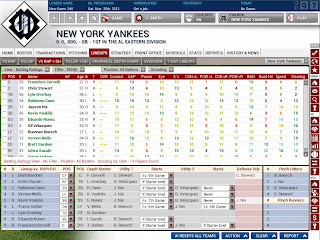 Check out a few screenshots from this year's release, and then we'll see how new Astros GM Bryan Trostel did this year. I won't bore you with tons of screenshots from my actual game play experience, but the level of detail in this thing is, well, out of the park. I chose to let Bo Porter handle the lineups as I focused purely on roster construction while trying to stick to the rebuild philosophy I inherited from Jeff. Aside from some small call ups due to injuries to the big league club, I wanted to hold off on any moves as I tried to let the obvious trade options build some value during the season. During this time, Jake Elmore and John Ely made their Astros debuts and Edgar Gonzalez was designated for assignment. When draft time rolled around, I went way against the grain by going with JaCoby Jones at 1-1, in part as I tried to spread my signing bonus pool around to get more high end talent in the later rounds. 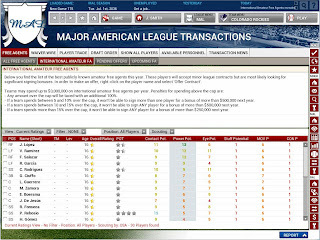 July 5th the Angels came calling, and I ended up working out a deal that sent Bud Norris, who was 4-8 with a 4.60 ERA and Rick Ankiel, hitting .271 with 6 home runs at the time, to LA for Mark Trumbo and minor league pitcher RJ Alvarez. Trumbo was immediately added to the active roster, and Jose Valdez was called up to Houston in the aftermath as well. July 17th was a big transaction day. Early in the day I sent Erik Bedard, 5-9 with a 5.67 ERA but with much better looking peripheral stats, back to Baltimore for Zach Britton, who the Orioles had given up on as he was just 3-7 with a 5.43 ERA at AAA. Later that afternoon, Carlos Pena, who was hitting .242 with 17 knocks, went to the Mets as I got Jeurys Familia in return. Familia was added to the active roster, and Jake Elmore was called back up to replace Pena. A few days later the Tigers were in need of bullpen help, so I gave them Jose Veras, who already had 20 saves on the season, getting Bruce Rondon, who was sent to OKC. Sergio Escalona was called up to fill the void in the pen. 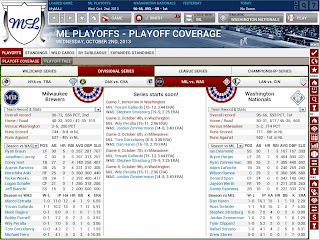 In my final deal, on July 22nd I traded Ronny Cedeno, who had been playing outstanding defense to that point, to the White Sox for Brent Morel, calling up Jose Martinez to Houston. As tempting as it was, I refrained from calling up any of the group at OKC that you would expect, preferring to wait until the roster expansion in September to give them a taste of the big leagues. That said, September 1st brought a lot of new faces to Houston. Lo, Musick, Jaramillo, Singleton, Laird, Crowe, Grossman, Villar, and Morel rented a 15 passenger van to make the trip from Oklahoma City to Houston. So, how did everyone do? Offensively, Jason Castro and Brett Wallace each hit 17 homers, with Wallace adding in a nice .288 average (before you say that's unrealistic, he did also strikeout once every four at bats). Altuve regressed a little, hitting just .277 but adding 31 steals. Matt Dominguez was a surprise, hitting .265 with 25 home runs and 89 RBI. Chris Carter was a bust, hitting just .211 with 18 homers and 163 strikeouts in 473 at bats. Maxwell was a 20/20 guy with a .224 average. Mark Trumbo, though, was a steal for me, as he ended up with 48 TrumBombs to lead the majors. In their cups of coffee, Singleton hit 5 home runs in September and Jonathan Villar hit .270 with 8 steals in 22 games. True to what we've seen recently, the Astros really struggled on the mound. Harrell was 11-19 with a 5.42 ERA and 101 walks in 212.2 innings. Humber was 10-11 with a 5.14 ERA. 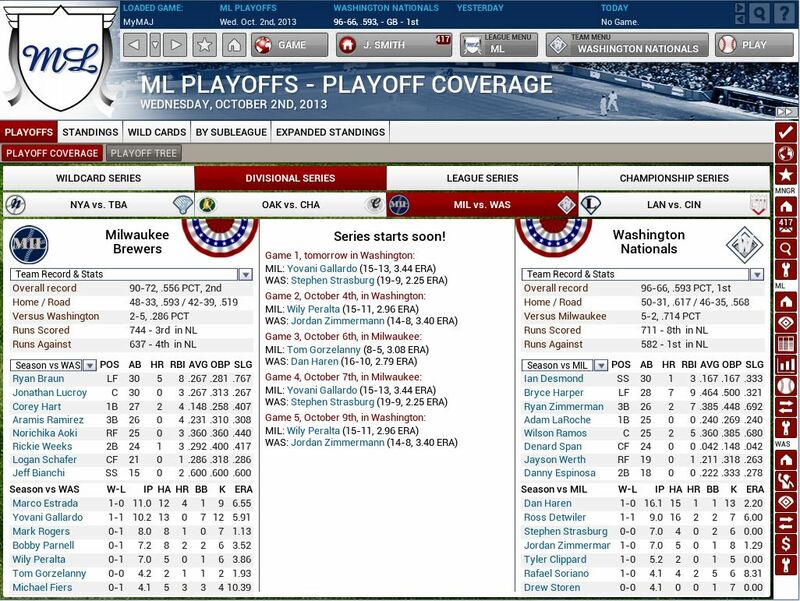 Peacock showed some promise but was streaky, finishing 11-8 with a 5.02 ERA. Walks killed the staff across the board. All that adds up to a 72-90 record, good for 4th in the AL West, 25 games behind the Angels and 7 games ahead of last place Texas (!!). There were actually five teams with worse records than Houston. How's that for integrity, Buster? 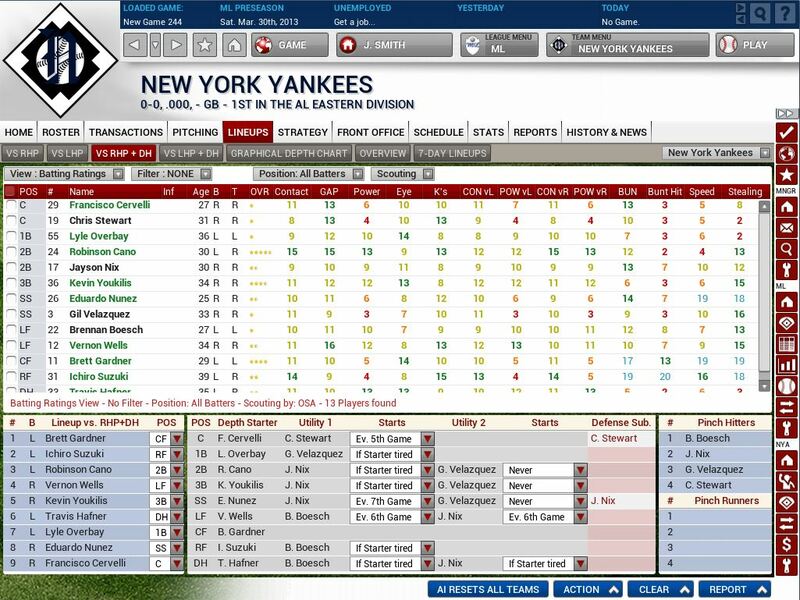 If you're looking for an awesome baseball sim, this is definitely the one you want. It's fully customizable, unbelievably in depth, and extremely realistic. If you're interested in purchasing this awesome game, I'll put a link up over at How Many Altuves. How was Correa's first full year on the farm? 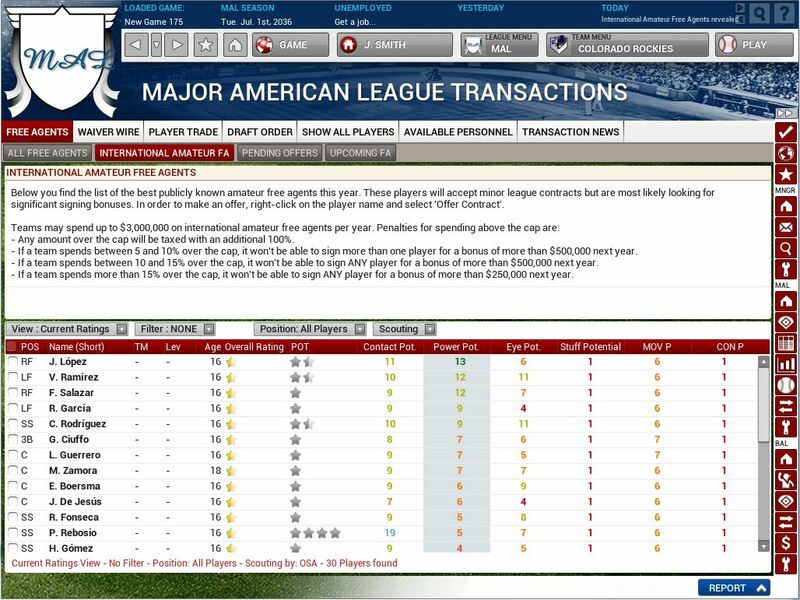 i love ootp. i love following the astros minor leagues in real life and it's always interesting to see smaller time guys get good in a random sim. I had 2011 and Bubby Williams just went off and ended up being the top offensive/defensive catcher in baseball for a good 5-7 years... unfortunately this was after i had packaged him in a big trade. 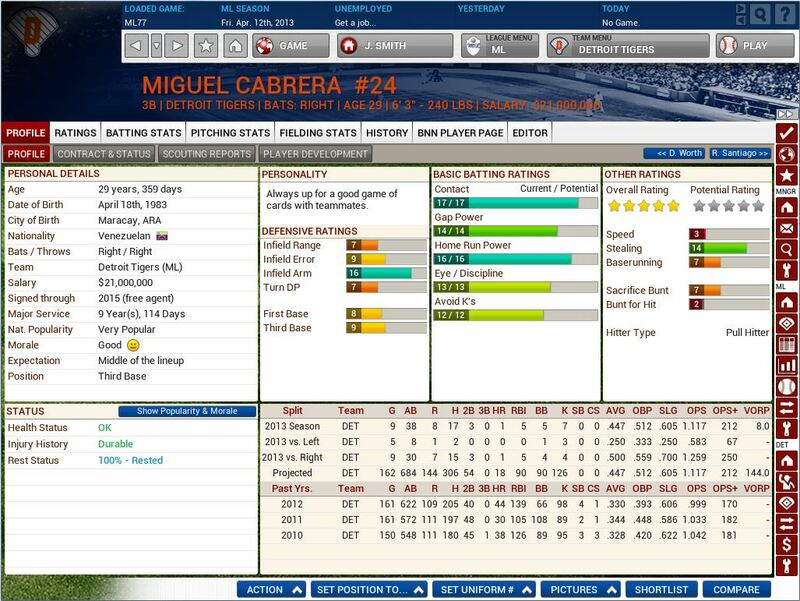 I'll double check Correa when I get back home, but in iOOTP (for the iPad) he's a two-time all-star. 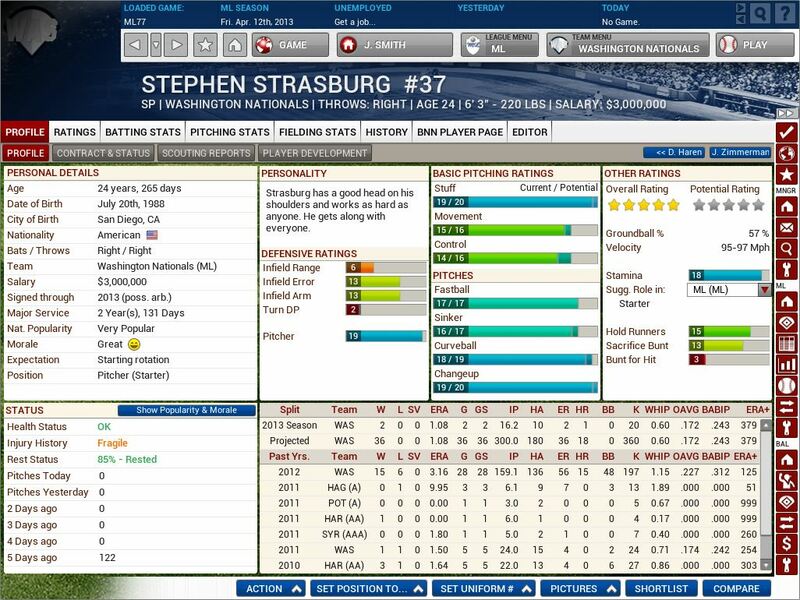 Through 7 full seasons he's hitting .267/.321/.422 with 107 homers, a ton of doubles, and 136 steals and he's one of the top rated fielders at SS. Correa hit .289/.363/.379, but spent most of the season at Tri-Cities.